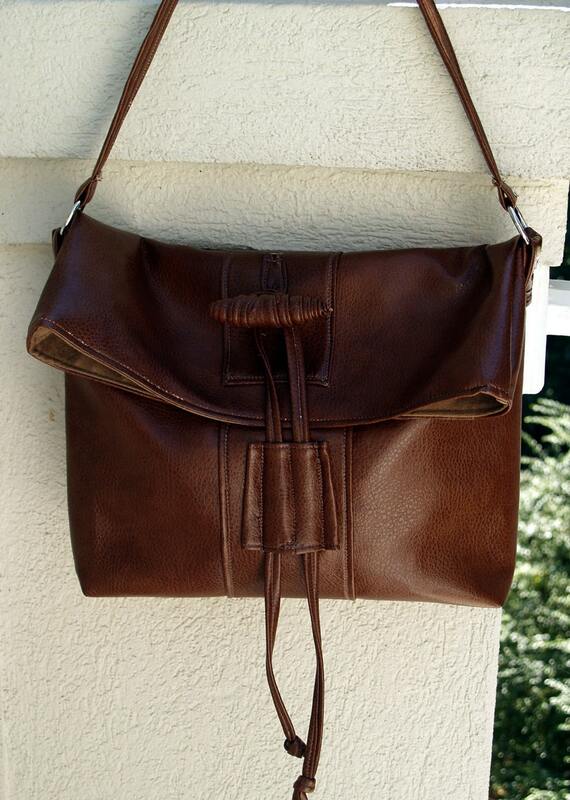 Beautifully designed, brown vegan handbag has a toggle closure on the front. It's a roomy handbag, that's great for any occasion. Made in an upscale, luxurious durable vegan fabric, in warm brown, it's accented and lined with a brown ultra suede fabric. The handbag has one large inside pocket. Dimensions are height 12", length 16", drop 14". Divinely uinspired.